Chennai Sep 15 (IANS) The winning team that would run the show at the world chess body FIDE will be decided after the second vote in next month s presidential elections and not after the first round said Grand Master Nigel Short leading one of the three contending teams. He declined to elaborate on his tweet after meeting the former Russian Deputy Prime Minister Arkady Dvorkovich and one of the contestants in the FIDE elections. Fifty-three-year-old Short after meeting Dvorkovich surprised the chess community early this month tweeting: "United in our belief that FIDE should support federations and not federations support FIDE. United in our determination to bring transparency and the rule of law and to root out cronyism and corruption." The two had also meet at Helsinki recently. Queried about whether the tweet indicates a pact between the two Short told IANS over phone from Greece: "We have common goal. In particular we are determined to root out Georgios Makropoulos team from FIDE. We are united for the greater good of chess. I believe Makropoulos team will be thrown out." Short further said: "Between us -- Short and Dvorkovich -- we have the numbers. As per the estimates no one would get 51 per cent votes in the first round. In the first round of voting the votes will be split. So there will be second vote " Short said. He said as per FIDE rules if there are three or more contestants in the fray then the person who polls 50 per cent plus one of the votes cast is elected on the first ballot. Thereafter the candidates receiving most votes on the second ballot are elected to the vacant number of offices. "We are still weeks away. The general feeling is Dvorkovich is gaining ground. I have the support of dozens of national chess federations " said Short and added that there is a realisation in the chess world of which way the wind is blowing. "Many national chess federations would jump ship at the time of elections " he added. Though he would not like to describe his contest in any chess terminology what is certain is the 2018 FIDE elections will see an English opening. Short is the first person from England to contest for the FIDE President post. "My getting into the electoral fray is not a gambit. Earlier the FIDE elections would be two horse races but now it is a three-horse race. The dynamics of two horse and three horse racing are different " he added. On his poll promise that the world chess body under him would support the national chess federations Short said: "Ninety two percent of FIDE s revenues are from national chess federations and other organisations. It is not the way how a well-managed sports body is managed. What we have now is a system that is taxing the players and national chess federations." Short added: "What we are saying is that national chess federations will be better off if FIDE is under our administration. They can continue their revenue model." He said FIDE currently does not attract any major corporate sponsorships which is due to the incompetency of the current management. According to him FIDE has a reputational problem as it is run by the same team for a very long time. "There are people in the background waiting and wishing for a good administration at the FIDE " he added. He said there will be administrative reform once the new team comes in at FIDE. 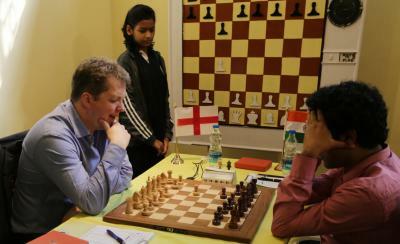 "Lot of changes would be brought in FIDE. Currently if you have an alternate view then you are excluded. It is illegal to run the administration like that. The current administration has had a very long tenure at FIDE which is not good for the game and the players " he remarked. As far as the players are concerned Short said they would benefit under the new regime as there will be a greater number of tournaments to play. He also said chess players will figure in a greater number of committees that deal with issues concerning them so that they have a say. As for voting rights for players in FIDE polls Short said there are much more important issues that needs to be addressed first. Whether Short is dipping into his lifetime savings to fight the elections he said: "One does not need money to fight elections in a democratic manner. And that is how it should be. I am not dipping into my savings. I am not spending huge money."